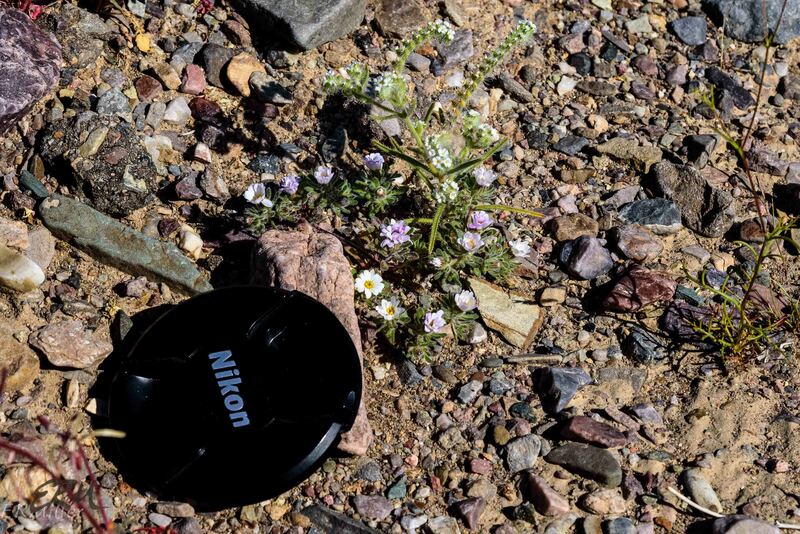 Between late afternoon of March 7 and about noon on March 10, I photographed 44 different species of flowering plants in Death Valley National Park. I stayed mostly on the east side, going as far south as Badwater and as far north as Ubehebe crater. 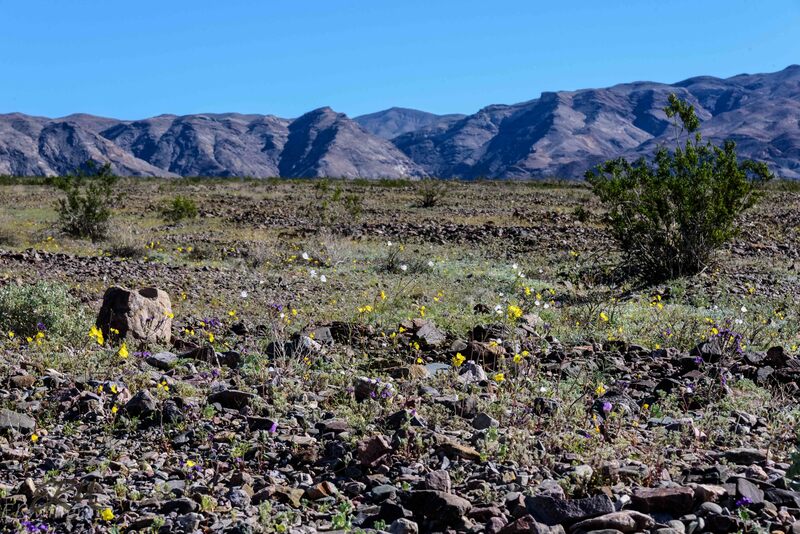 This was a few days past the peak of the superbloom, but as the first photo shows there was still plenty to see. What it doesn’t show is the incredible diversity of flowers. There are at least four readily identifiable plants in the second photo, not including the “belly flowers” that are about as ubiquitous as ubiquitous can be in a desert. Almost 900 pictures later and hours spent identifying and studying these plants, here are the stats for my fellow flower nerds. Not counting the six I have yet to identify, there were 38 species in 34 different genera in 17 different families. 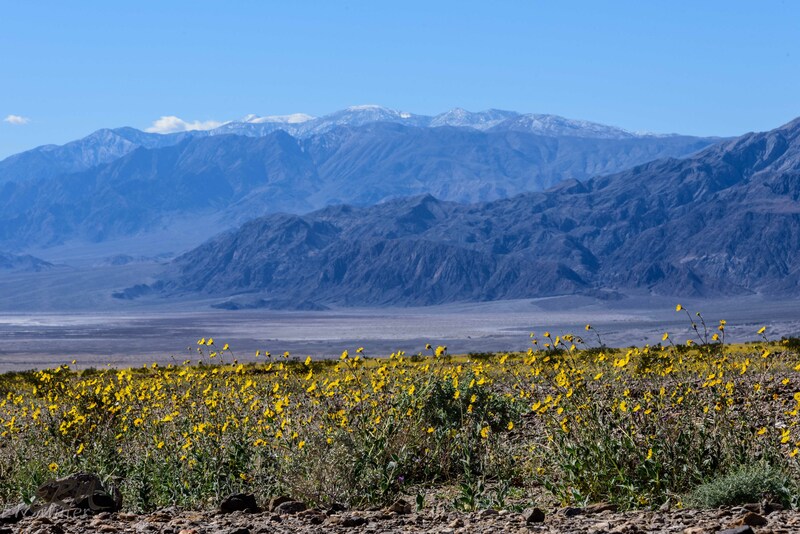 This entry was posted in Uncategorized and tagged Death Valley, superbloom by elizabeth. Bookmark the permalink.